Home / Shipping News / Hellenic Shipping News / Ships are in Demand: What types of vessels is each maritime nation buying? Ships are in Demand: What types of vessels is each maritime nation buying? Despite the relative difficulty in obtaining adequate ship financing, activity in the S&P market for second hand vessels is still rather brisk. However, besides the “usual suspects”, in the form of Hellas and China, smaller maritime nations are also rather active lately. In its latest weekly report, shipbroker Intermodal noted that “looking at 2018 SnP activity, it is evident that Greek, Chinese and North European (German and Norwegian) owners are the top buying nationalities, accounting for 60% and 40% of the dry bulk (>20kdwt) and tanker (>10kdwt) sales including the sale & leaseback deals as well as whole fleet takeovers. Aside those nationalities though, there are also others that do pose particular interest when someone tries mapping the SnP market as a whole despite the fact that they so far account for a much smaller number of transactions”. According to Mr. Nassos Soulakis, SnP Broker, “starting with Indonesia, interest from local Buyers is expressed in both sectors, with 15 bulkers and 13 tankers ending up in Indonesian hands so far in 2018. On the dry bulk side Indonesian owners have been focusing on Handymax and Supramax candidates up to 56kdwt, while age-wise the range starts from ships built in early 2010 up to 20-year old ships, with the majority built in the early-mid 2000s. On the tanker side, there is interest for all sizes from small Chinese built chemical tankers and j19st-st tankers up to VLCC. Handy and MR candidates built in the early-mid 2000s gather most of the interest. The SnP presence of Waruna is worth mentioning here, given the fact that the specific Indonesian owner is responsible for the big range of deadweight found in tankers ending up in Indonesian hands, having acquired more than half of all such vessels so far”. 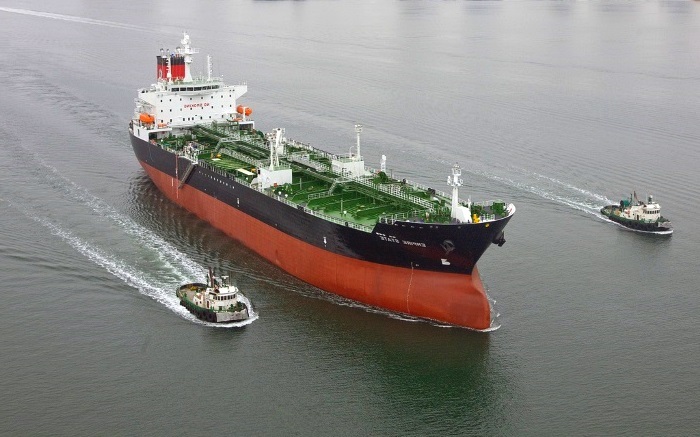 Soulakis adds that “Vietnamese buyers show almost equal interest in tankers and bulkers, while the focus is on Japanese j19st-st tankers and on the dry bulk side almost exclusively on Handysize units built during the late ‘90s and up to 2005. Almost equal activity between the two sectors has been also displayed by UAE based owners, with purchases focusing on Handy-MR units built in the late 90’s up to early 2000s on one side, while on the dry bulk side focus is on older Handysize and Panamax vessels. Turkish and Indian buyers on the other hand show a clear preference in one of the two sectors instead of both. The first have been focusing on late 90’s early 2000’s built Handysize bulkers, while Indian owners show a clear preference to early 2000’s MRs, with owner Seven Islands responsible for almost half the deals concluded so far. With the exception of UAE, all of the above markets have bee also witnessing a correction of their respective local currencies against the US dollar. The drop might be only marginal in the case of Vietnam but the rest of the economies are looking at substantial discounts. Indeed, the Turkish lira has lost almost half of its value compared to a year ago, while the Indian and Indonesian currencies have witnessed a discount of around 10% within the same period”. According to Intermodal’s analyst, “therefore, despite the softer buying power most of these nations seem to be witnessing, they still seem to be committed in shipping investments. Their share might be much smaller compared to those nations in top places, but given their sizeable presence in specific sub-segments in both the dry bulk and tanker sector their importance/influence within these markets is already considered important, while stability in local currencies could increase their impact substantially”, the shipbroker concluded.